I’ll tell you right up front so if you don’t want to be bothered reading the rest of the review, you don’t have to. 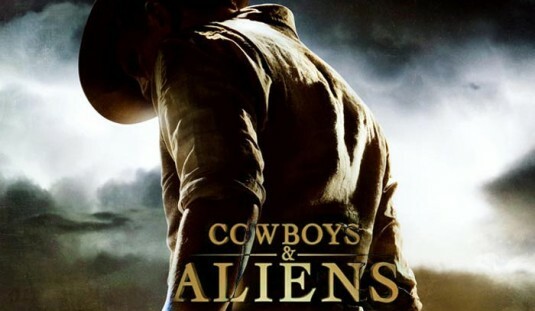 I enjoyed COWBOYS & ALIENS a lot. It’s a very well made movie with performances I enjoyed and an entertaining premise. However, I have to say this: the parts of the movie with the cowboys are so entertaining that when I got to the parts of the movie with the aliens, I was wishing I was back with the cowboys. The man runs afoul of Percy, attracting the attention of Sheriff John Taggert (Keith Carradine) who identifies the man as Jake Lonergan, notorious outlaw. Taggert intends to ship Lonergan off to federal prison along with Percy when Dolarhyde shows up. His intentions are simple: he wants his son back and he wants Lonergan as well. Seems as if Lonergan has been helping himself to Dolarhyde’s gold. Dolarhyde means to shoot up the town if his wishes aren’t met. But he’s beaten to the punch by alien spacecraft that not only blow the town to splinters but kidnap a sizeable number of citizens. Dolarhyde aims to go after the varmints who took his son and he needs Lonergan because the bracelet on his wrist turns out to be an extraordinarily powerful weapon. The town doctor/bartender Doc (Sam Rockwell) wants to get his wife back. Also going along is the grandson of the sheriff (Noah Ringer) Nat Colorado (Adam Beach) Dolarhyde’s right hand man and the town preacher (Clancy Brown) Rounding out this crew is the mysterious Ella (Olivia Wilde) who packs a mean shootin’ iron of her own and knows way more about the aliens than anybody else. The road to the alien camp is one that made me wish that Jon Favreau was doing a straight-up western. If Daniel Craig keeps making westerns I don’t give two hoots if he never makes another James Bond movie again. Both he and Olivia Wilde look right at home in the genre. And this is the best performance Harrison Ford has given since I dunno when. In fact, I don’t think there was a performance in this movie I didn’t enjoy. And Jon Favreau knows that even in an action movie you need moments where an audience can catch their breath and maybe get to know the characters a little bit better. He’s good enough to do that and he’s also good enough to know how to rev the action back up to 11 after a slowdown. My respect for him as a director continues to grow with every movie he makes. 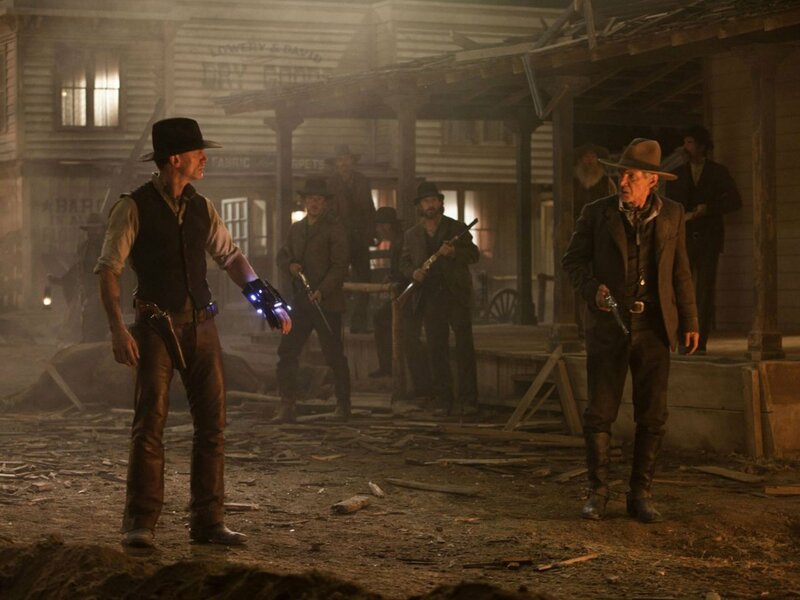 So should you see COWBOYS & ALIENS? I say yes. It’s got truth in advertising as if has Cowboys and it has Aliens. It’s not going to become known as a classic of the genre but it’s good, solid entertainment with a cast that knows what they’re doing and a director working at the top of his game. Enjoy.